Adjustable Height from 34.0 - 47.5"
The Meade Instruments AZ Tripod is an ideal support system for most smaller refractor OTAs, binoculars, spotting scopes, or cameras. 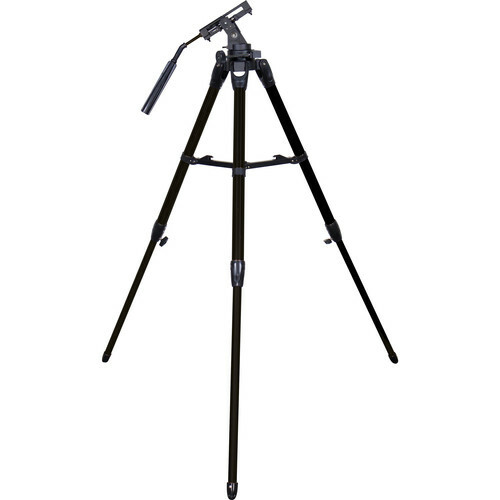 Its aluminum head has a standard 1/4"-20 mount and single control handle to easily move and aim the optic, while dual-axis cables allow you to track celestial objects as they move across the sky with more accuracy and less vibrations. The stainless steel legs are adjustable from 34.0 - 47.5" to accommodate a variety of users and viewing positions, and a tray for accessories like eyepieces and filters also acts as a stabilizer. Box Dimensions (LxWxH) 36.0 x 10.551 x 8.976"